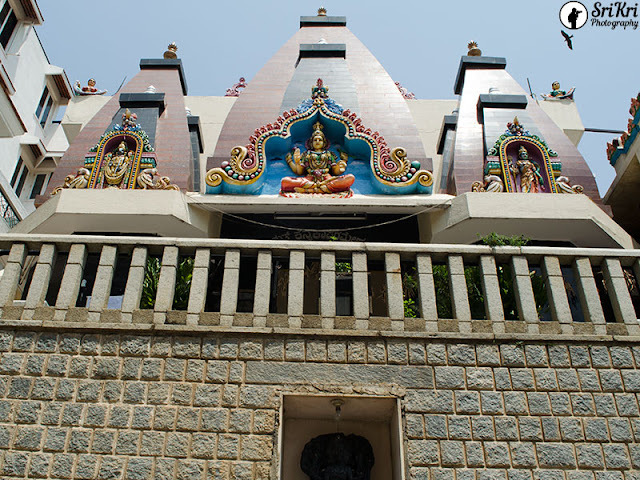 Sri Kanyakaparameswari temple was built in the year 1989, built on the 14ft hillock. It is located in Kumara Park West next to Sriram Conventional Hall Bengaluru. 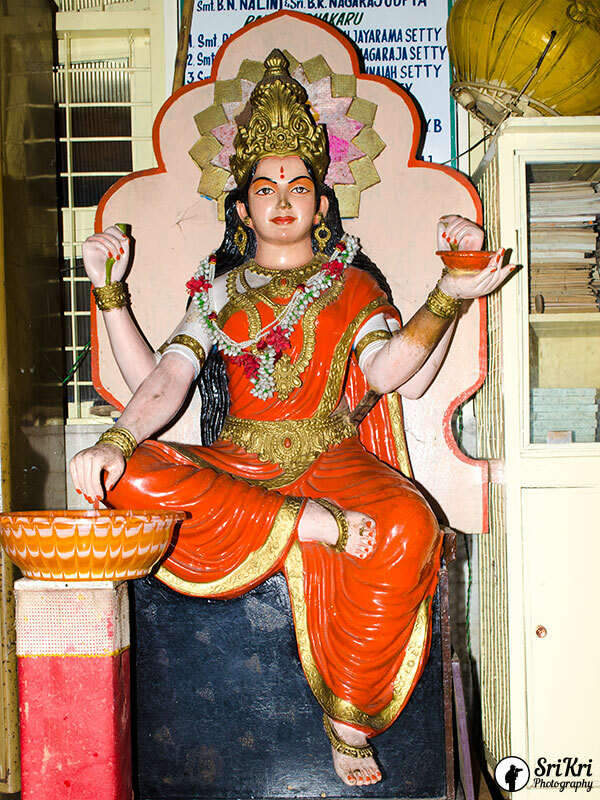 Not many people know or heard about this temple. Hence we struggled a bit to locate this. 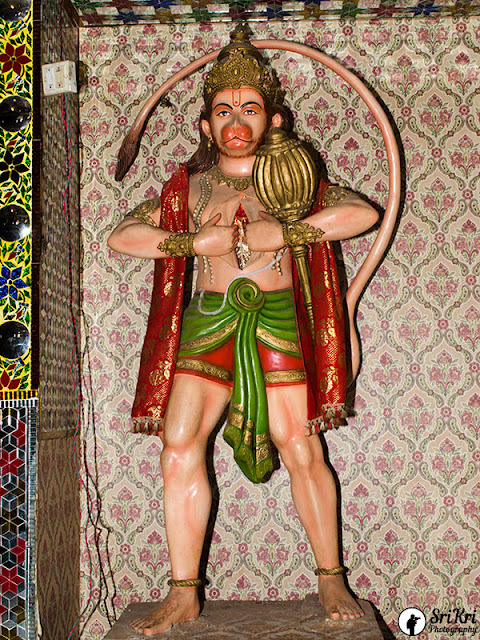 We came to know about this temple from wikipedia when reading some other article. Temple is not visible from distance. 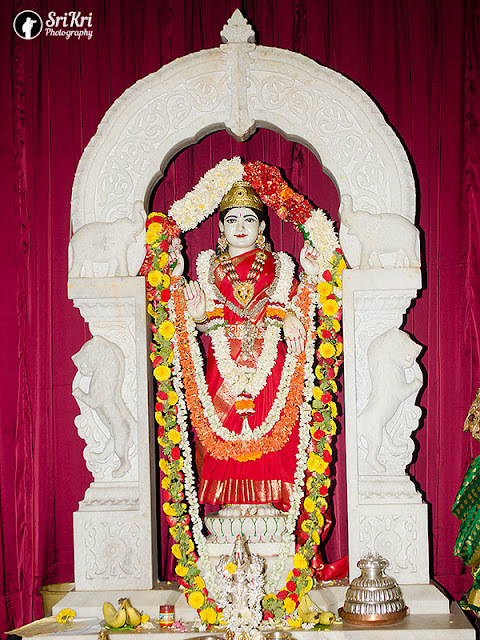 Goddess Sri Kanyakaparameswari is adorning the temple with her divine smile holding parrot on the left side. 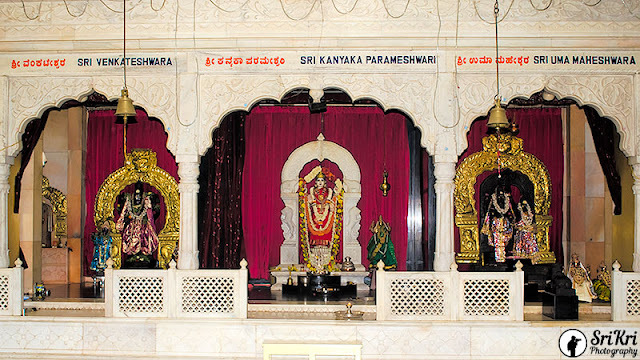 The other deities are Lord Venkateswara, Sri Kedareswara are in the Southern style. 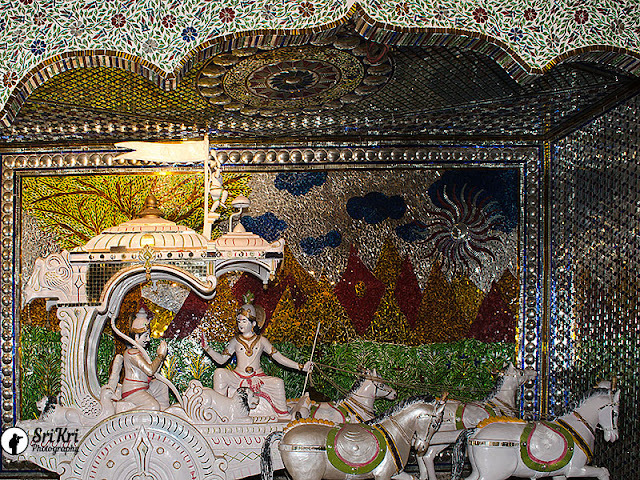 The temple exhibits some of the important pilgrimage centres in India like Badari, Kedar, Haridwar, Benaras, Puri Jagannath, Sri Rama Janmabhoomi, Madurai Meenakshi and Vivekananda Rock using Mural paintings. This temple is the fusion of both North and South Indian temple architecture. 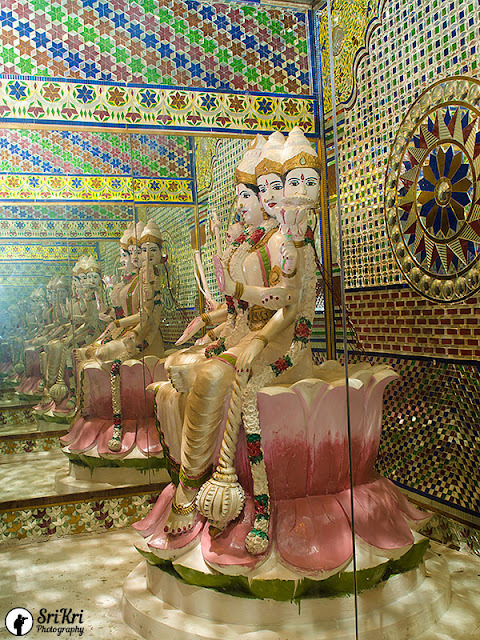 The richly carved sanctum, arches and the idol of Sri Kanyakaparameswari are made of white marble by the renowned sculptors of Rajasthan. If you want to get the prasad (crystal sugar), drop Rs. 2 coin in the Annapoorneswari idol located before the exit door. Darpana in Sanskrit means mirror. 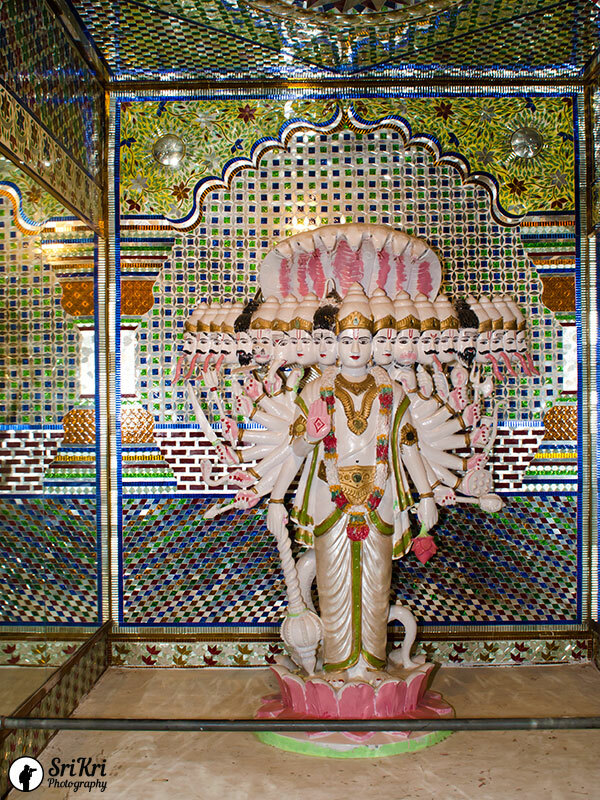 This temple is located above the main temple. 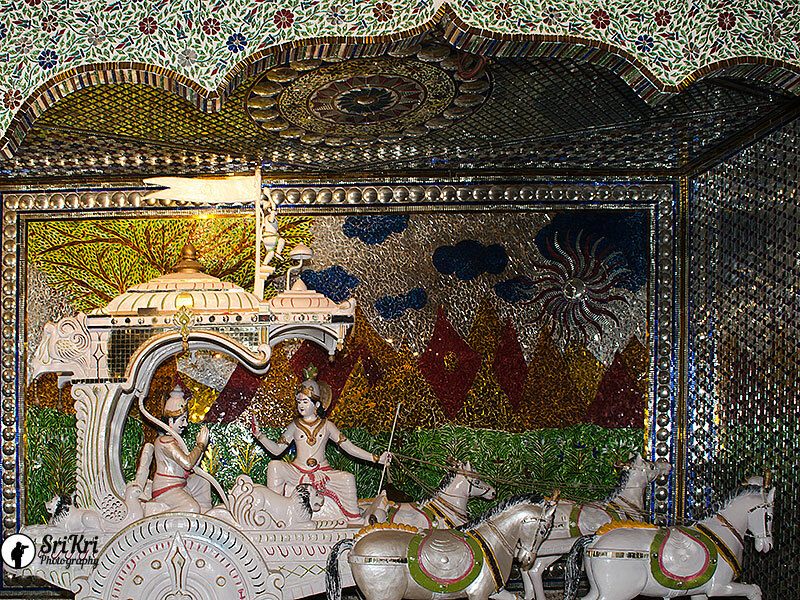 The special feature is the ceilings are beautifully ornamented with multi coloured mirrors depicting Nakshatra mandala, Dwadasha Rashis, Dashavatars and planets. The statues of Gayathri, Geethopadesha and Vishwa roopa Darshana sparkles our eyes with multi coloured mirrors in their background with the special sound. 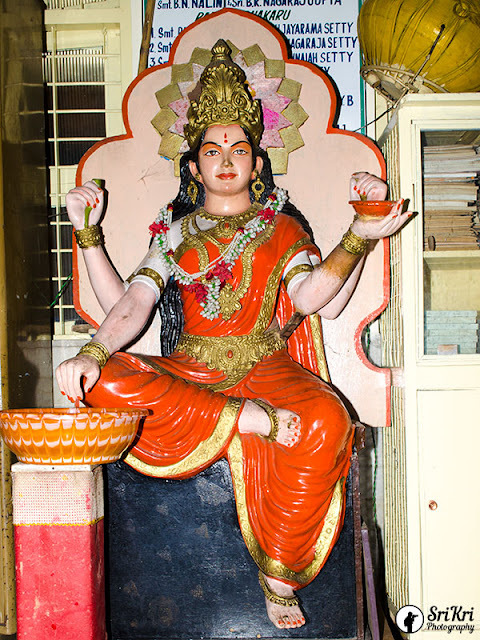 Twelve important events highlighting the life history of Vasavi is depicted here. We really loved the statue of Hanuman tearing the chest showing Rama and Sita in his heart with the electronic effect. Thanks Ami. Not many people know this place and this is not marked in google map. Such a beautiful temple and it very near to where I stay. Shall visit soon. Thanks for sharing. Thanks Ranjana. Yes, it is a beautiful temple.